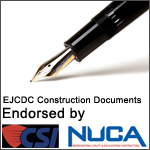 In an effort to assist engineering students in becoming familiar with engineering professional practice, design and construction, risk management, and other important issues, NSPE will provide sample copies of EJCDC documents to educational institutions (e.g., university engineering program faculty) upon request. 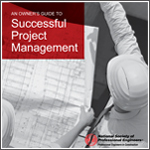 For more information, please contact legal@nspe.org. The Engineering Education Excellence Award recognizes licensed faculty who have demonstrated the ability to link engineering education with professional practice. A new online community for engineers in higher education, your platform for exhanging ideas. NSPE members, visit NSPE Communities and from the navigation click on "Communities" > "All Communities" and look for the NSPE in Higher Education Community on the page to join the discussion. Professional Engineers in Higher Education Executive Board.